The Corpus Christi ballet has been committed to presenting first-rate performances on the Selena Auditorium stage since 1974. 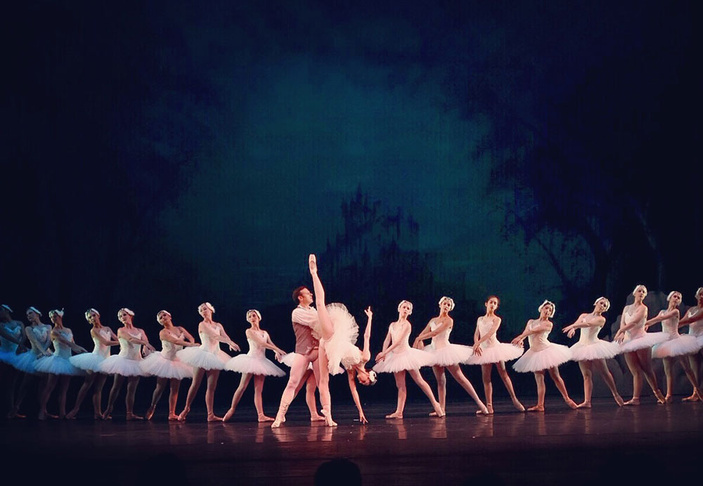 With devoted dancers and compelling choreography, the Ballet puts on two performances a year. The Corpus Christi Ballet also represents the Coastal Bend region in its performances across North America as an Honor Company of Regional Dance America. The non-profit organization casts upwards of 150 artists for its performances—some as young as 5-years-old. Kids are an integral part of the Corpus Christi dance community, too. The program BalletWorks for KIDS includes lecture demonstrations, while Children’s Spotlight on Ballet features highlights of the current performances for area schools. Each year, the company puts on a lavish production of The Nutcracker, involving a cast of more then 100, most of whom are local dancers. Auditions for the annual production usually begin in September. The CC Ballet is now on Facebook. Like the page to keep up with the latest news, such as upcoming season schedules and performances. You will also find biographies of the principal soloists on Facebook as well as videos and photos. The Artistic Director is Cristina Munro; Assistant director and Ballet Mistress, Alexandra Trevino; and Board President, Robin Murray. Cravalho began studying dance at the age of 3 at the Munro Ballet School at the Corpus Christi Athletic Club. She is active in dance education in the city. She teaches dance, including jazz and tap for Munro Ballet Studios. The company performs at the Selena Auditorium in the American Bank Center, 1901 N Shoreline Blvd. in Corpus Christi.